When we go to The Mandarin Restaurant, Elfie always goes for the Mango Salad. 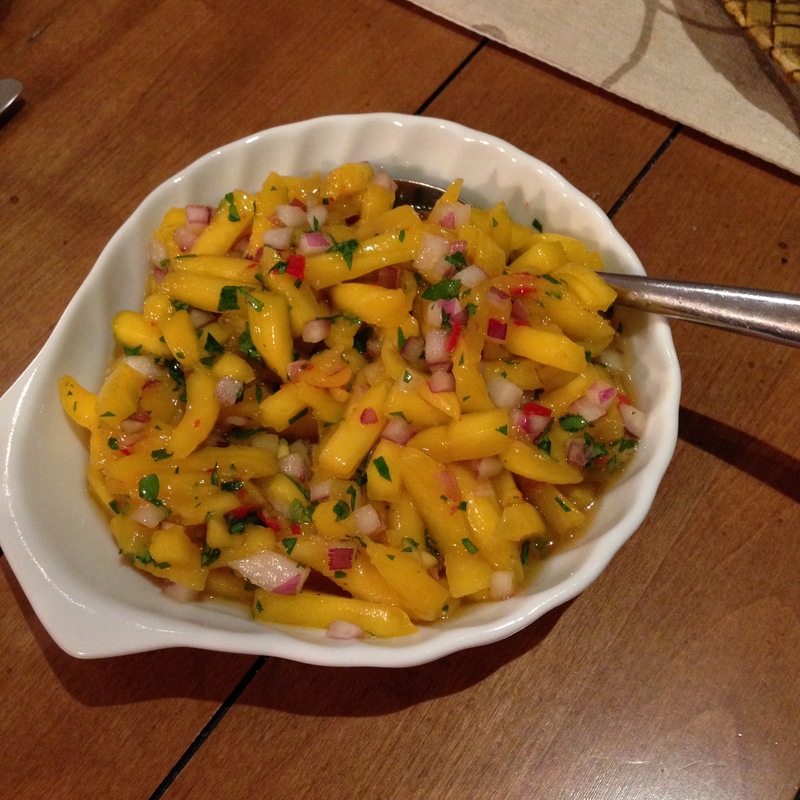 She loves it so much that she used the idea of Mango and Chili to create a Spicy Salsa that’s great with meat or fish. When rich food is complimented with something light and fruity the combination is always a hit. This salsa can be made ahead of time so its a cook’s friend when company is coming. Around here, its just one of those things that finds its way to the table because we love it! We use a mandolin to slice the fruit. This is a tool that you will use a good deal so it might just be worth the investment. 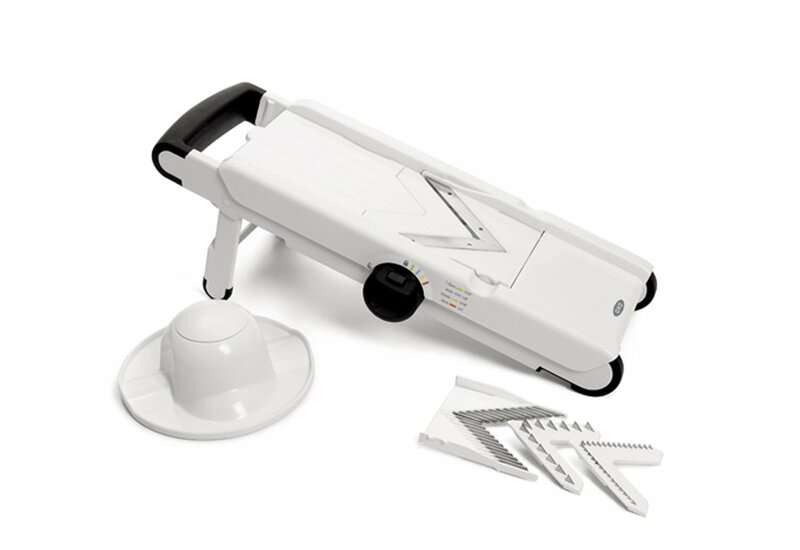 When making onion soup, coleslaw, scalloped potatoes or anything else that requires a lot of slicing we have found the Mandoline to be easy to use and quick to clean afterward. Mix all the ingredients in a small bowl and set aside to allow the flavors to develop. Serve with meat or fish! 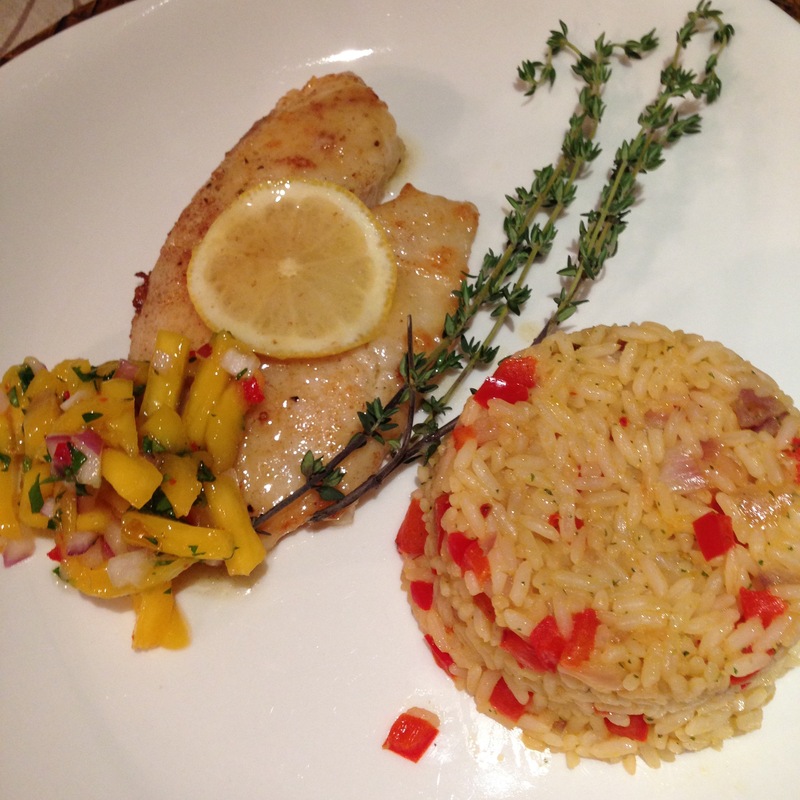 Spicy Mango Salsa Adds Interest to Talapia. We probably don’t eat enough fish compared to those that live next to an ocean. Unless you live in a big city most of the fish you see in the grocery store was frozen before being sold to you. We’ve solved that problem by shopping at alternative markets. We have the good fortune of having some ethnic markets close to our home and they have a fresh fish counter. Once you try Asian or Caribbean markets you are going to find as we have, that the taste of fresh fish is far superior to anything sold in a regular supermarket. Mix all the ingredients in a small bowl and set aside to allow the flavors to develop while you prepare the fish and rice. Look at those colors! Place the flour onto a plate or shallow bowl. Stir to mix and dip fillets into the flour. Once dredged heat the butter in a non-stick saute pan. When the butter is melted cook the fillets on medium-high heat till lightly brown. Turn and brown the second side. This takes just minutes. Place a lemon slice on each fillet, pour the lemon juice in the pan and place the cold butter in the middle of the pan while you stir it into the lemon juice. This will make a glaze for the fish. The fish is cooked when it flakes with a fork and is lightly browned. Serve immediately! If it’s true that we eat with our eyes then get up to the table right now! Talapia is such a lovely mild fish and the salsa works perfectly to jazz it up. We love a rice pilaf when we eat fish. Tell us about your favorite fish recipe!